Are you frustrated with New Members joining and complaining they don't feel connected, they're falling through the cracks or even worse, never coming back? My Super Easy Social Media Strategies for Membership Retention will BLOW Your Mind! We'll show you AMAZING tools that ANYONE and ANY SIZE MINISTRY can use immediately to turn this challenge around. DVD 2: Stop Making Budget Busting Mistakes! I'll show you how to FREE Online Tools to SAVE Your Budget, INCREASE Your Online Giving and AMP Event Registrations! Tired of writing checks for EVERYTHING??? I'll show you FREE ways and tools to CREATE stunning graphic images for those events or departments that don't have a budget. DVD 3: Stop Going Unnoticed! You can STOP Your Ministry from Being a Best Kept Secret! 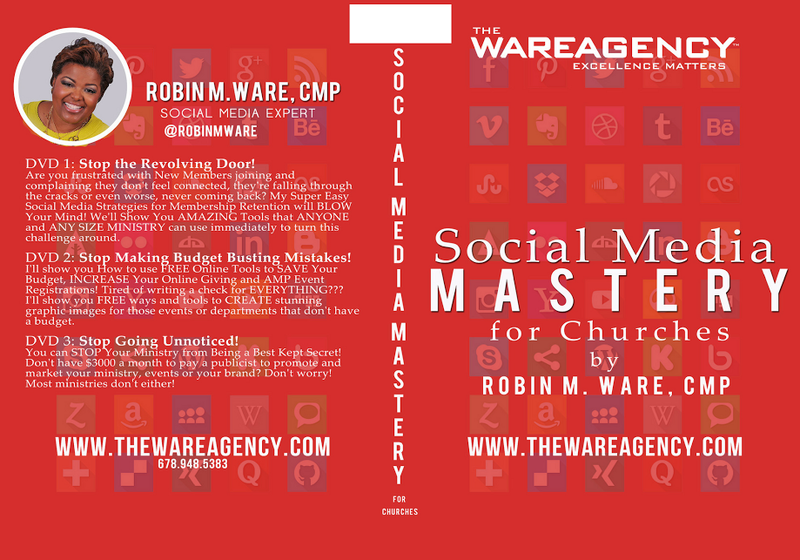 Don't have a $3,000 a month to pay a publicist to promote and market your ministry, events or your brand? Don't worry! Most ministries don't either! DVD 2 - Stop Making Budget Busting Mistakes!